Smoke ’em if you buy ’em! The popularity of the Pipes and Papers Unit at Ubar Grotto cannot be matched. Many of our Prophets enjoy a good cigar in a relaxing atmosphere, surrounded by their brethren. Realizing this, we are pleased to announce a special offer to those who are cigar afficianados. Pro. Tom Labagh recently took a vacation to Punta Cana, in the Dominican Republic. While there he picked up a box of hand made Dominican cigars and met the actual man who rolled them. Pro. Labagh was kind enough to “mule” the box back to the states and donate it to the Grotto, to be used for fundraising purposes. The tobacco in these cigars is of Cuban heritage, having been grown from seeds transplanted from that country. If you can find a better smoke than these, you have deeper pockets than most! If you’d like to reserve one of these amazing smokes, just drop us a line at ubargrotto@gmail.com and we’ll be glad to hold one for you. 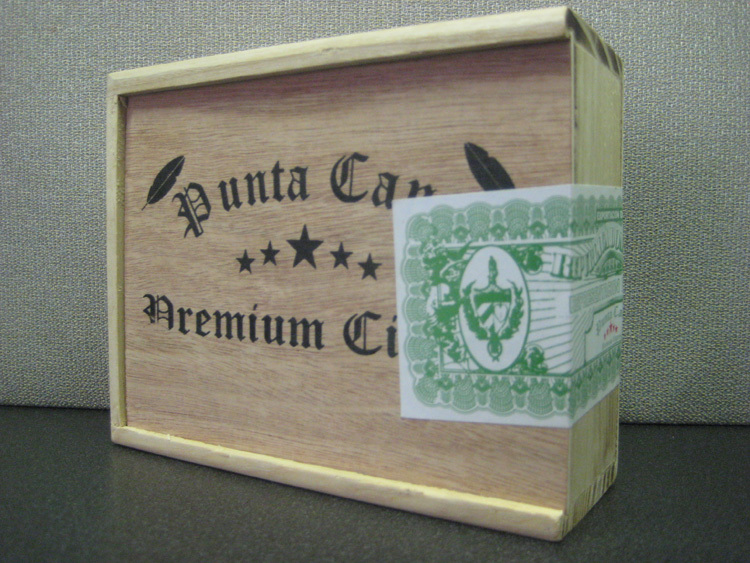 The cigars will be sold on a first come, first serve basis, so get your reservations in before the box runs out! ← Get out your smoking jacket!